Be Bop’s Front Lead Harness will help reduce behavioral problems such as pulling and choking that is harmful to your dog’s trachea (windpipe). Size (Girth) Choose an optionXSM - 11-15"SM - 14-20"S/M - 17-24"MED - 21-29"LG - 27-38"XLG - 39-49"
BeBopUSA’s Front Lead Harness is a safe and effective way to reduce or eliminate certain behavioral challenges. It will help alleviate the common problem of pulling, and is a safer and longer-term alternative to a head halter. 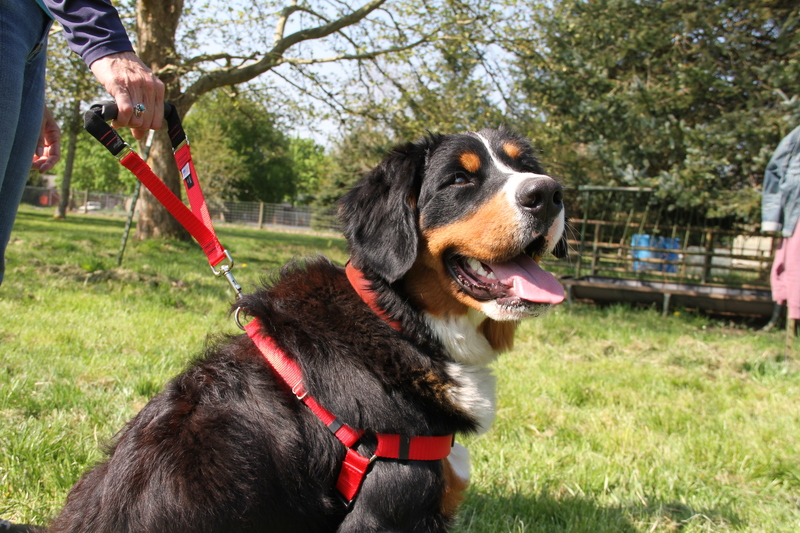 BeBopUSA’s Front Lead Harness will not choke your dog or allow your dog to pull. Note: Dogs that pull with a collar are at high risk to injuries such as tracheal collapse or irritation. Practice safe and effective training techniques with Be Bop’s Front Lead Harness. Based on valued feedback, we’ve created an additional ‘in-between’ size to help your furry friend find the perfect fit. Sm/Med is 17-24″. Front Lead Harness is best worn with D-ring in front, but if the dog is well behaved, you can put the harness on with D-Ring connected to back like shown below. See How Easy and Effective it is! XSM – 11-15", SM – 14-20", S/M – 17-24", MED – 21-29", LG – 27-38", XLG – 39-49"